Wisenet uses your internet browser’s cache to optimise page-load speeds and general performance by saving and reloading visited pages instead of pulling the same data over and over again each time you revisit a page or site. If you tend to open Wisenet pages in multiple tabs, frequently update records, or make system-wide changes, you run the risk of viewing a cached version of Wisenet and not seeing the most recent changes. When you experience unexpected behavior in the application, try clearing your cache as a first defense. 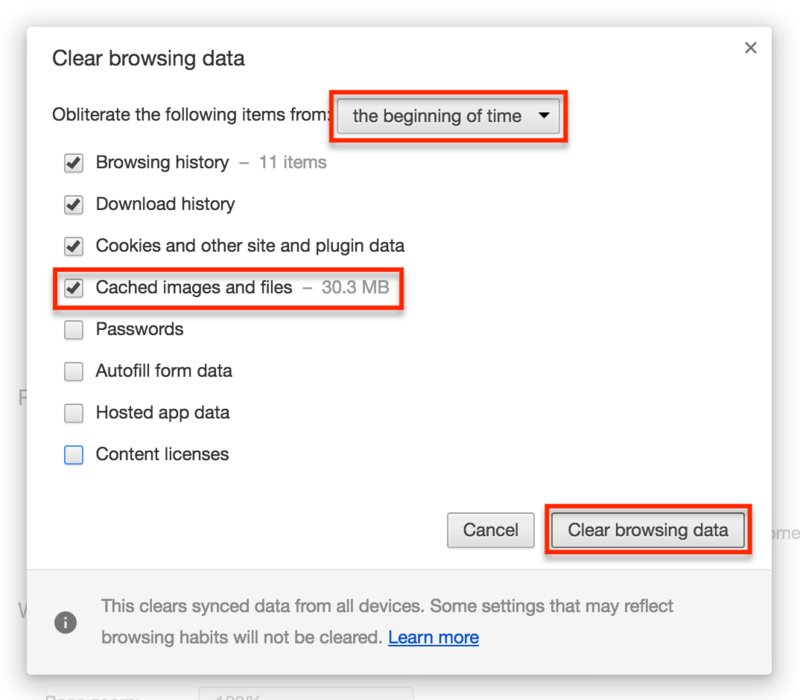 The steps below cover clearing the browser cache in Chrome. The steps are the same for Mac and Windows. Click on the three-dot icon on the browser toolbar. Some older versions of Chrome may use a three-bar icon instead. After Chrome has finished clearing the cache, refresh the page you were viewing in Wisenet. You may be asked to re-authenticate by entering your username and password. 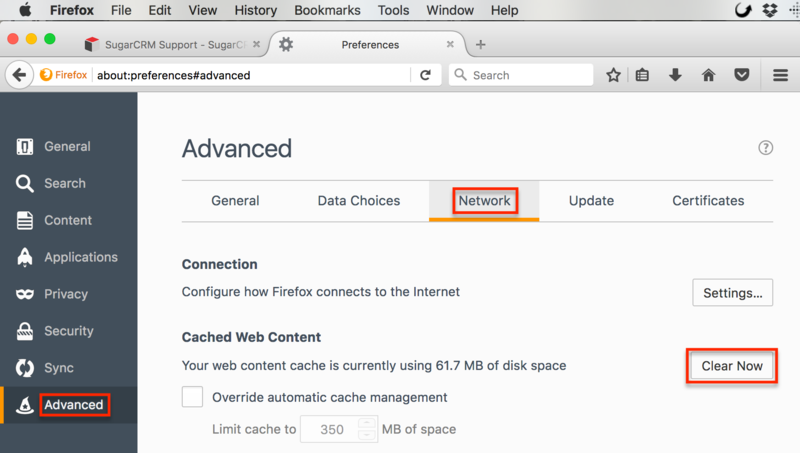 The steps below cover clearing the browser cache in Firefox 55.x for Mac and Firefox 47.x for Windows as examples. 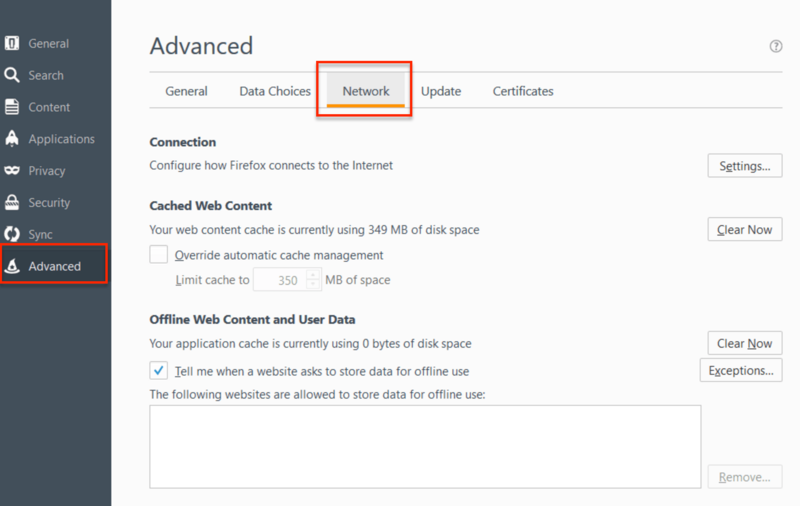 After Firefox has finished clearing the cache, refresh the page you were viewing in Wisenet. You may be asked to re-authenticate by entering your username and password. As of January 12, 2016, Microsoft has dropped support for all but only the most current version of Internet Explorer. Because Internet Explorer 11 is the last version of Internet Explorer, it will remain the only supported version until Microsoft announces its end of life. For more information about the termination of Microsoft’s support for older versions of Internet Explorer, please refer to the announcement on Microsoft’s Windows for Business website. 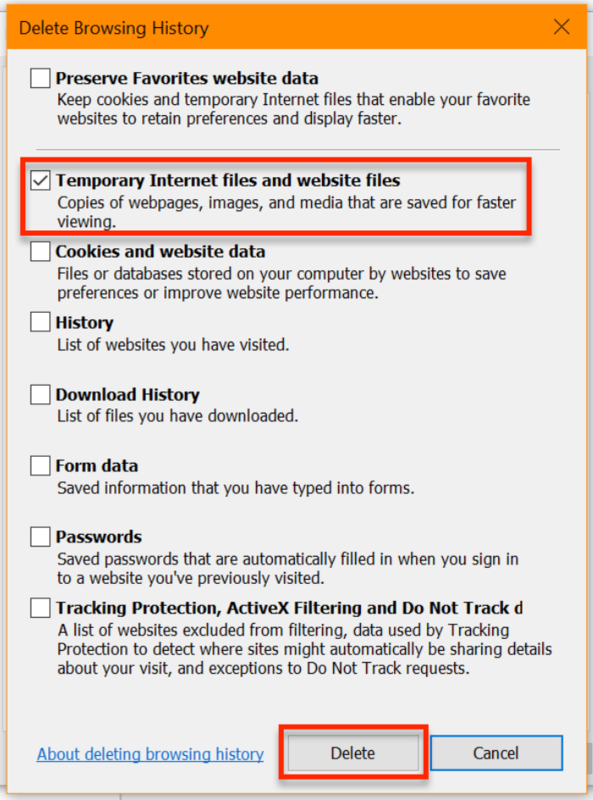 The following steps cover clearing the browser cache in Internet Explorer 11. After Internet Explorer has finished clearing the cache, refresh the page you were viewing in Wisenet. You may be asked to re-authenticate by entering your username and password. 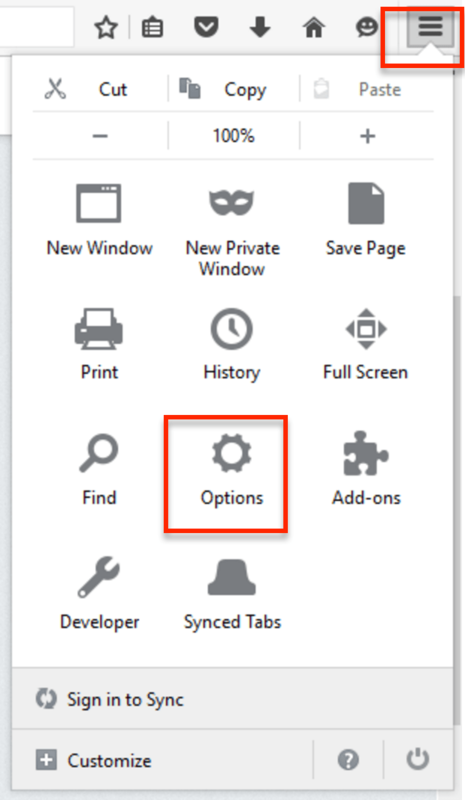 If you are using Microsoft Edge, follow the instructions in Microsoft’s View and delete browser history in Microsoft Edge article, selecting “Cached Data and Files” in step 3. 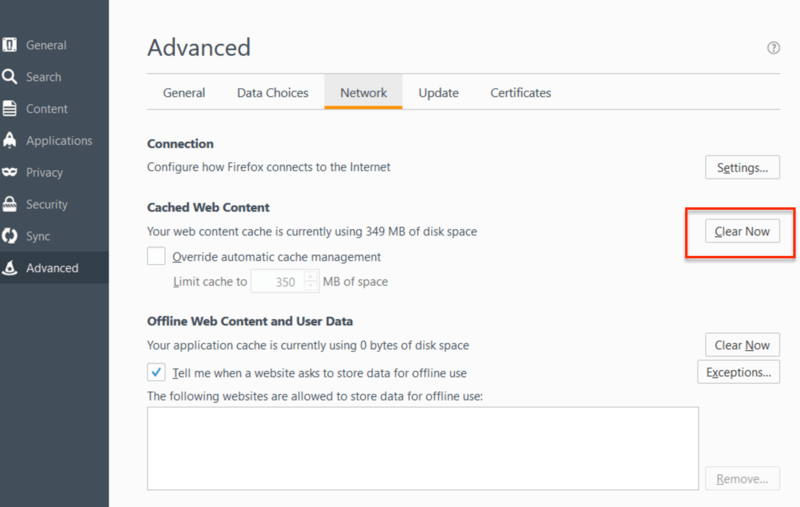 Once the cache has been cleared, refresh the page you were viewing in Wisenet. 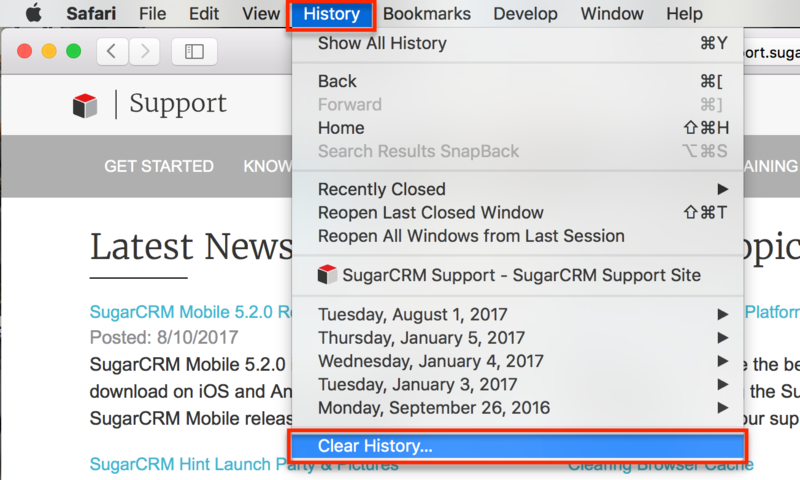 Safari’s “Clear History” utility automatically removes cookies other cached website data. 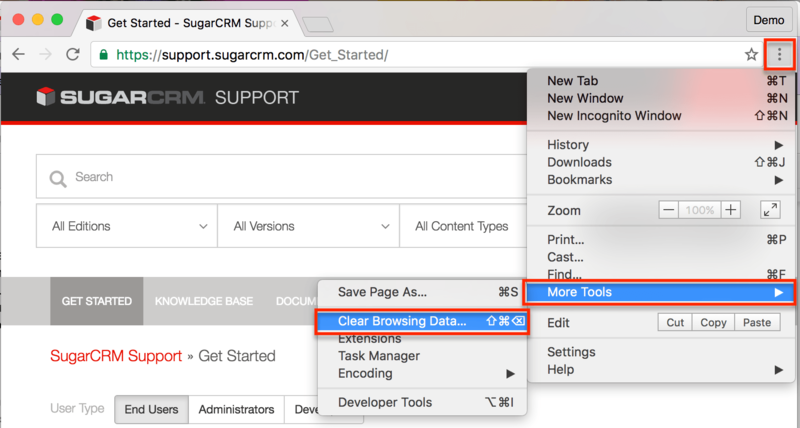 The steps below go over clearing the browser cache in Safari 10.x on Mac as an example. After Safari has finished clearing the cache, refresh the page you were viewing in Wisenet. You may be asked to re-authenticate by entering your username and password.